Medical Universities in Bulgaria (in English medium) are among the very few medical universities in Europe that offers a course in English. These Universities provide high quality of medical education, with high tech and modern facilities. Today, doctors from Bulgaria are well respected and appreciated all over the world. The Bulgarian medical universities attract thousands of international Medical school students every year especially from Germany, Sweden, Norway UK and Ireland. Most of the students are fascinated by medicine in Bulgaria because of the quality of the studies, European standard labs, and choosing the language of study in English. The Universities offers the medical programmes in English which runs for 6 years (Medicine and Dentistry). Bulgaria has been and remains one of the main European destination for international students ever since Bulgaria become a European Union member (in 2007). 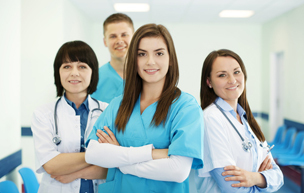 Bulgarian medical degrees are fully recognised in the whole community and beyond. Most of Bulgarian Universities have more than 20 years experience of teaching in international languages (English or French or German programmes).